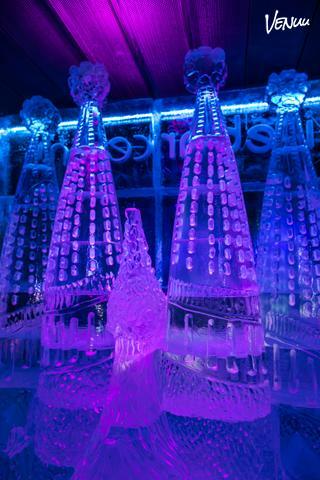 Located in a privileged location, the Icebar is a unique space in Barcelona and a place especially designed to hold memorable events. In Icebarcelona we have two exclusive areas especially prepared for group activities of up to 100 people. When the ice session is over, the activity keeps going in a warmer sector. We also have a terrace bar where you will be able to recover your body heat, facing the beach located at Port Olimpic. An emblematic area of Barcelona, renowned for the architectural revolution that succeded in the 90’s because of the Olympics and now, for its current nightlife.